NiQua Scarte | What's Inside My Summer Bag? 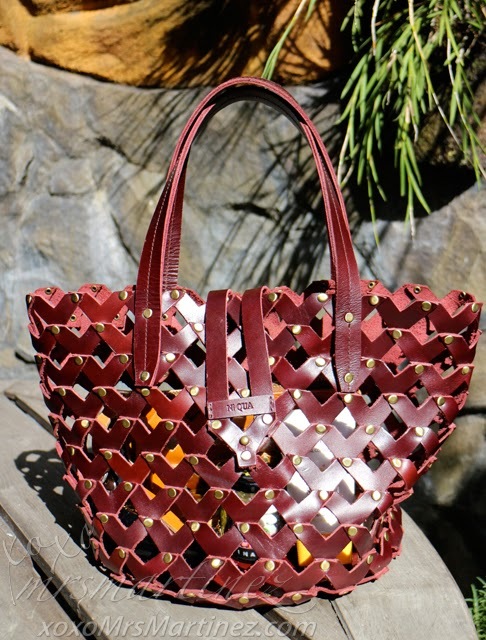 I just came back from an overnight trip at Luljetta's Hanging Gardens and Spa in Antipolo and I want to share with you what I have packed in my summer bag- Ni Qua Scarte Handbag in Burgundy. I won this handbag in an auction a few weeks ago during Ni Qua's 1st anniversary. It's a tote bag with a handle drop of 6". Dimension is compact at 10x9x3 (HxWxD), perfect for an overnight getaway! 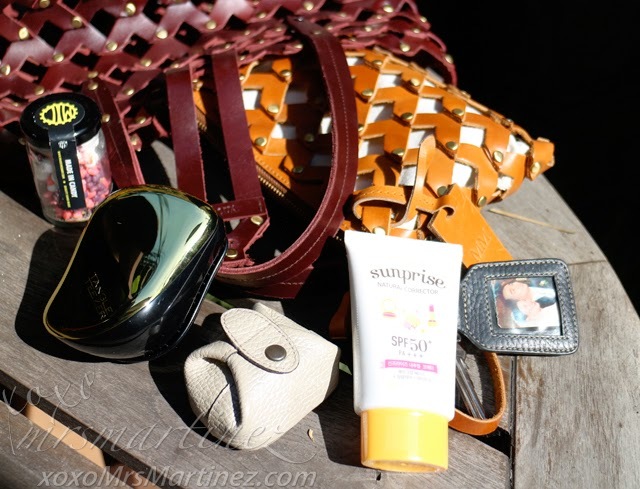 What's inside my summer bag? After finishing Serenitea's Okinawa/Hokkaido candy jar, I refilled it with Nerds and Tic Tac ; ) The Made In Candy jar is so cute to throw away! My Tangle Teezer Compact Styler is well, so compact it can fit inside my bag. I bring it with me wherever I go. My Fino coin purse has been with me since I can't even remember. I have several of these cube purse in different colors. Etude House Sunprise Natural Corrector SPF 50+ PA+++ (Php 498) is space-saving because it is a 2-in-1 product- a makeup base and sunblock in one. Aside from that, it has whitening and wrinkle care properties of Niacin Amide and Adenosine to brighten up your skin tone and improve skin elasticity. It's so handy, I take it everywhere with me this summer! Like any woman I know, I have a bag within a bag and it is also from Ni Qua. 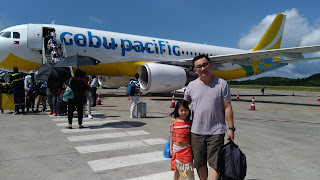 I am fond of this brand not only because of its ingenious design but also because it is proudly Philippine made. 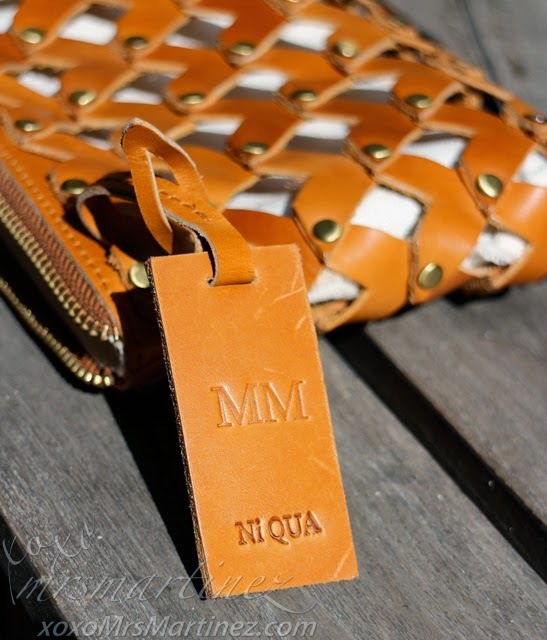 Oh, you can have your Ni Qua bags monogrammed for a minimal fee. By the way, Ni Qua has an on-going promo online, you can buy any 2 bags for only Php 6,000. What a huge savings! 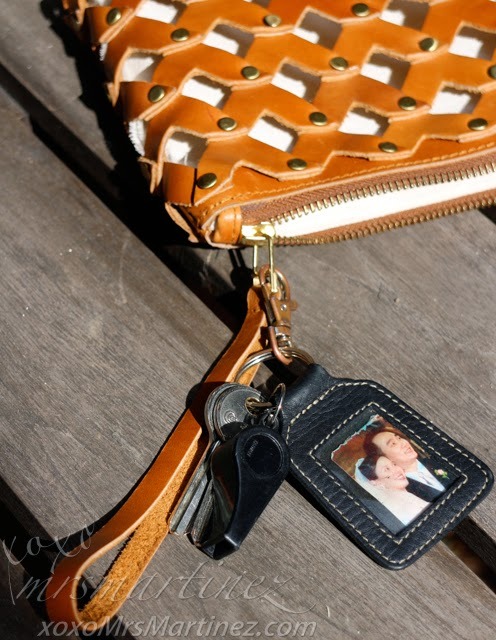 Tip: Attached a whistle on every key (house and car key). It's a lifesaving device. 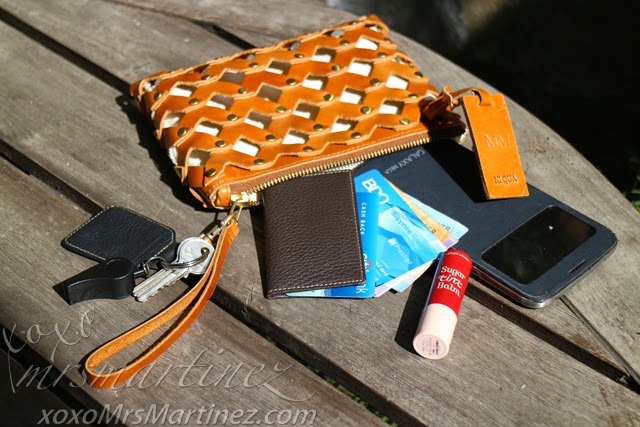 So, what fits inside my NiQua Scarte Wristlet? A lot, of course! Aside from my house keys attached on the strap, there's my Fino leather license case, credit card, SM Advantage card, Samsung Galaxy MEGA and Etude House Sugar Tint Lip Balm in Cranberry Pie (Php 498). Another 2-in-1 product, Sugar Tint Lip Balm comes in 8 vibrant colors suitable for your summer look! It has Jojoba Oil, Argan Oil and Vitamin E to moisturize lips. It also has a special formula that melts away dead skin cells, leaving your lips healthier, softer and smoother for hours. It's your turn, what's inside your summer bag?